What started as a grey San Francisco morning turned out to be a great day of abundance on the roof. 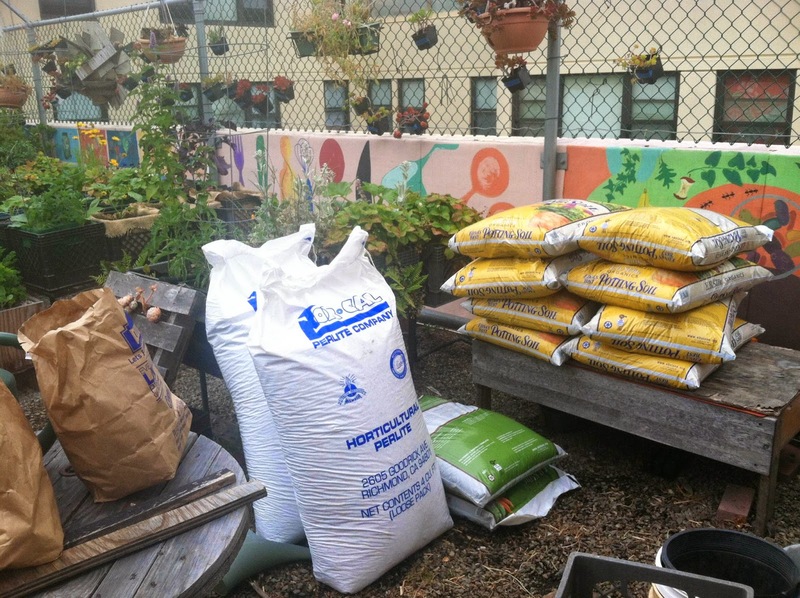 With a huge and much appreciated donation from Deloitte, the garden is now equipped with bags of soil, plant food, new tools, and an umbrella to provide that coveted spot of shade! And with the invaluable help from our weekly volunteers at Graze the Roof, we collected a bag of harvest to provide for the Glide kitchen downstairs. Deep in the basement of the Glide Foundation building, the kitchen was bustling with other hard-working volunteers in aprons, cutting melon up in one room and unloading flour in another. 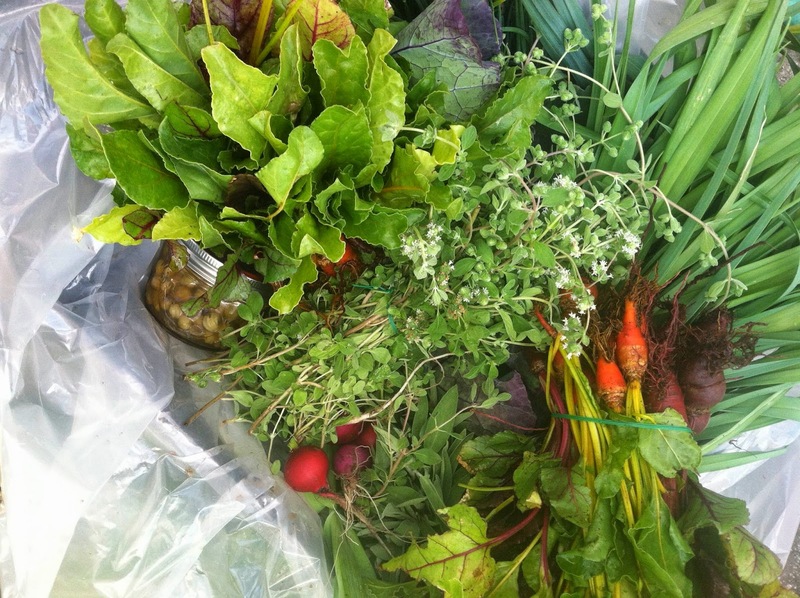 Our bag of seasonal goods weighed in at 8.5 pounds full of freshly uprooted onions, baby leeks, radishes, and beets, and bunches of oregano and thyme and was handed over to the cook in the lively kitchen. Thursday’s volunteer day was a sheer example of the connectivity and power of the people at Glide. 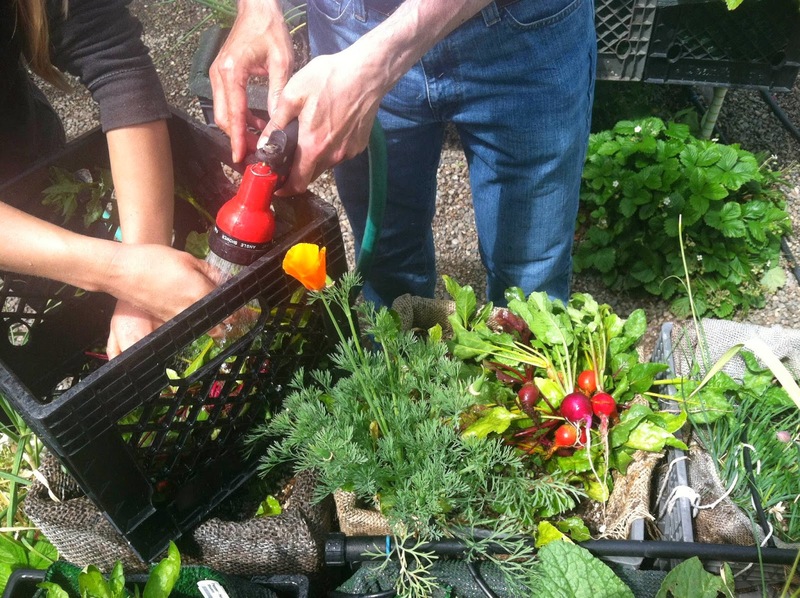 From the garden’s soil to the kitchen that feeds our community, the experience is truly enriching. Come join the love every Thursday on the roof! Volunteers are welcome to help play a part in the garden from 10am-2pm.